The licensing industry news website Licensing.biz is reporting the exciting news that 45 inteprid licensing industry colleagues, including Mark Kingston, the General Manager (GM) & Senior Vice President (SVP) for EMEA & Australia at Viacom, taking part in the Miffy & Friends Charity Cycle Challenge, a 300-mile cycling challenge taking place between London to Utrecht, created a colourful scene as they set off from the Emirates Cable Car in London at 8.30am this morning! Photo by Ian Downes, @StartLicensing. Bringing together the UK and Dutch licensing communities, as well as other international licensing partners, the group had already raised £50,500 by first thing this morning for The Light Fund and €25,000 for The Children's Hospital in Utrecht. Two pelotons then headed out on the road to Folkestone - the first peloton is aiming for a speed of 16 miles per hour and the slower one at 13 miles per hour. The pace in each is being set by a lead cyclist from Sports Connection, the company managing the ride. Viacom's Mark Kingston wearing a Sponge-tastic SpongeBob SquarePants cycle jersey by Scimitar Sports. Photo by Ian Downes, @StartLicensing. One of the group is already nursing an injury - on his last cycle at the weekend, Icon Live's Warren Traeger was hit by a car and knocked off his bike. Although he is still in massive pain and was in a sling until this morning, he is heroically carrying on! Executives from companies including Nickelodeon, Esdevium Games, Blues Clothing, Icon Live, Gemma, eOne, Trademark Collections, Max Publishing, Corsair, Sanrio, Collective Apparel, CPLG, Manchester City, MSB Accounting, Poetic Gem, Cherokee USA, Artists and Scientists, DRi, Rainbow Designs, Highlight PR, ESP Licensing and NJ Screenprints will all be part of the UK team. Meanwhile, the Netherlands team will include execs from Mercis, Big Tent USA, World of Delights, Hubregtse, License Connection, Bambolino Toys, De Gele Trui Uitzenders and CPLG Benelux. The organisers would like to say a huge thank you to the multiple sponsors of the Start and Finish line and the Beach Flags, meaning that, along with the branded jersey, it's going to be a colourful event. 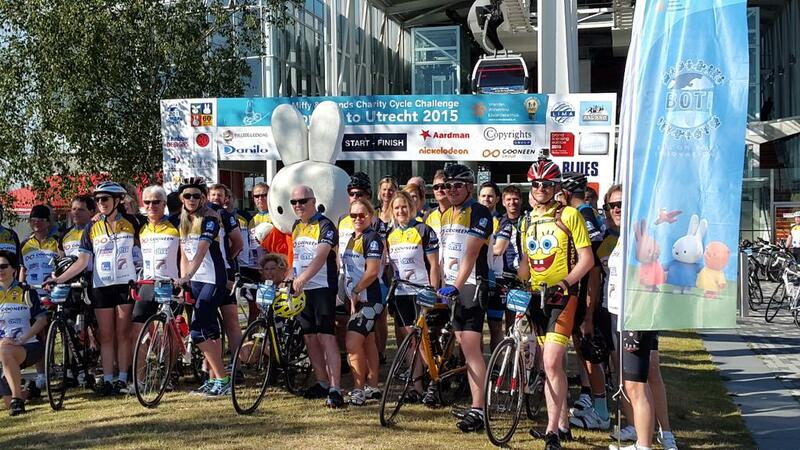 Good luck to everyone taking part in the Miffy And Friends Charity Cycle Challenge! 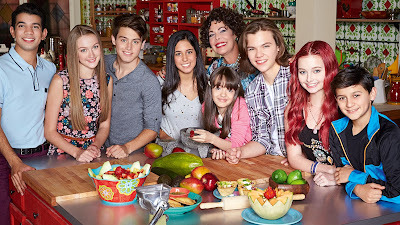 Santa Monica, Calif. – June 30, 2015 – An aspiring chef discovers if she wants to be the best, she will need a dash of magic in Talia in the Kitchen, Nickelodeon's newest live-action, daily scripted series debuting Monday, July 6, at 7:30 p.m. (all times ET/PT), following the season-four premiere of the daily scripted hit Every Witch Way at 7 p.m. Talia in the Kitchen is the story of 14-year-old Talia Parra (Maria Quezada), who discovers that she can cook just what each customer needs with her magical spices. "Talia in the Kitchen is great, fun storytelling that combines some of the trends that kids today love, like cooking, magic and wish fulfillment and, as always, comedy," said Russell Hicks. "Pairing Talia with Every Witch Way creates a full hour of daily format viewing, which our audience has an enormous appetite for due to the success of our other daily hits like Make It Pop and House of Anubis." Talia in the Kitchen follows Talia as she discovers her passion for cooking after moving in with her eccentric grandmother (Jeanette Lehr) and her brainy little sister, Julie (Galilea Lasalvia). With the help of her friends (Ellis Ann Jackson and Joshua Hoffman) and her late father's magical spices, Talia tries to revive the family's restaurant business with food that literally stirs people's emotions. However, she must overcome competition from a local eatery owned by the rival Fuccinelli family: food snob Debbie (Gail Soltys), heartthrob Tyson (Liam Obergfoll) and head chef Frenchie (Miguel Luciano). Every Witch Way begins its fourth and final season July 6th on a high note, having ranked number one in its timeslot with both kids and tweens during its third season. The high-stakes finale season follows 14-year-old Emma Alonso, who after standing up to the Witches Council, is more powerful than ever before. She's taking charge as The Chosen One and pushing the limits of what her magic can do. Friendships will be tested, enemies will be made and the Magic Realm will be changed forever. Every Witch Way is written by Catharina Ledeboer (Grachi, Talia in the Kitchen, General Hospital) and produced by Nickelodeon Latin America and Cinemat. Nickelodeon, now in its 36th year, is the number-one entertainment brand for kids. It has built a diverse, global business by putting kids first in everything it does. The company includes television programming and production in the United States and around the world, plus consumer products, online, recreation, books and feature films. Nickelodeon's U.S. television network is seen in more than 100 million households and has been the number-one-rated basic cable network for 20 consecutive years. For more information or artwork, visit http://www.nickpress.com. Nickelodeon and all related titles, characters and logos are trademarks of Viacom Inc. (NASDAQ: VIA, VIA.B). 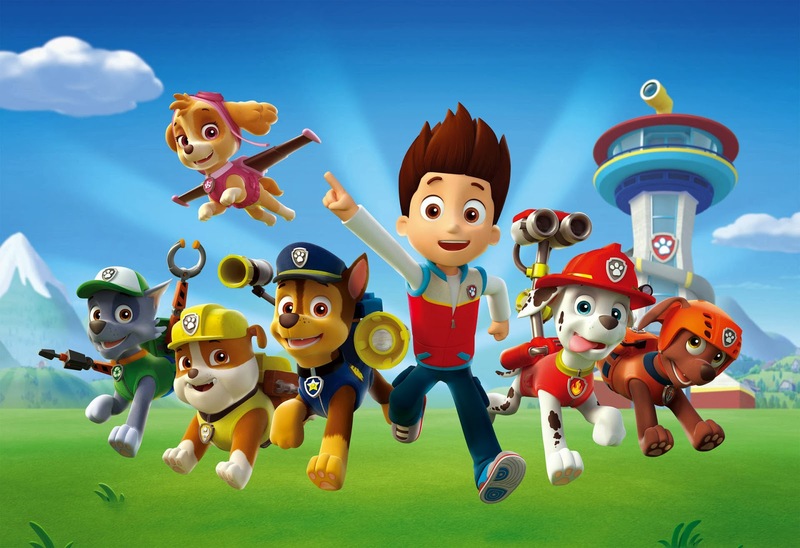 The licensing industry news website Licensing.biz is reporting the PUP-Tastic news that Nickelodeon is partnering with Showtime Attractions to bring "PAW Patrol" live events to Australia and New Zealand! From September 2015, popular characters Chase and Marshall will be available for character appearances, followed by "Paw Patrol" live shows from January 2016. Showtime Attractions will be responsible for managing bookings for non-ticketed character shows in shopping centres, meet and greet appearances, as well as activity and craft zones at small and large scale events. 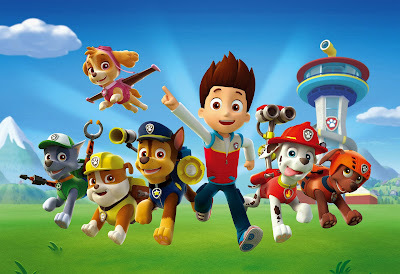 "Since its launch in 2013, "Paw Patrol" has become a global phenomenon, achieving high ratings on subscription and free to air television, along with mass consumer product sales across all international territories," said Jihee Nam, vice president and general manager for Nickelodeon Australia and New Zealand. "The show's extension to the live events business in Australia and New Zealand is testament to the strength and success of our kids and family entertainment offering across multiple platforms." Keith Brown, managing director for Showtime Attractions, added: "It is an exciting time to extend our existing partnership with Nickelodeon to include "Paw Patrol", a property that has evolved to become one of the biggest franchises for pre-schoolers worldwide. "Along with Nickelodeon's "Teenage Mutant Ninja Turtles", we have a competitive offering that will cater for the whole family. We are looking forward to growing and supporting this powerful entertainment portfolio and strengthening Nickelodeon's live events arm in Australia and New Zealand." Nickelodeon and Papercutz are expanding on their recent innovative first look deal! The news comes following last weeks debut of Nickelodeon and Papercutz's all-new Nickelodeon Magazine that focuses on Nickelodeon's animated shows and features games, puzzles and activities for kids. 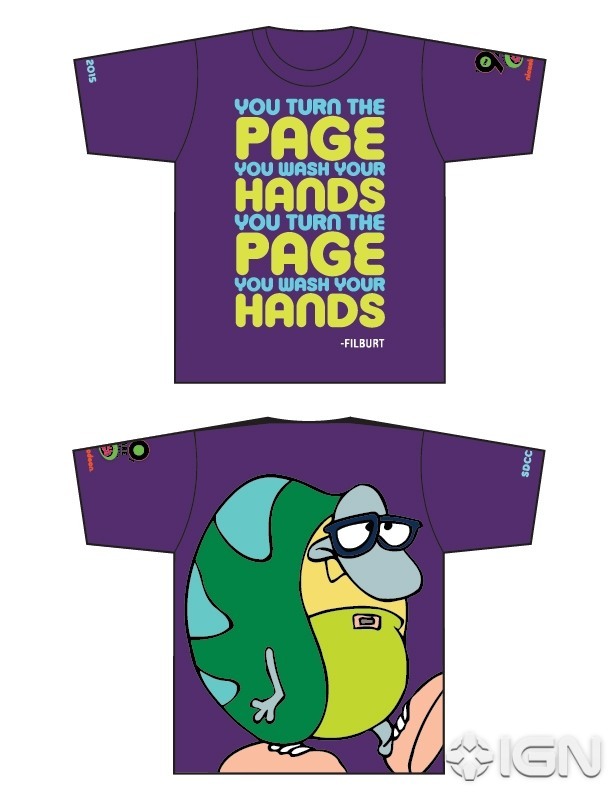 This new announcement will expand on that deal, giving Papercutz multi-territory rights to debut four exclusive minicomics based on Nickelodeon series "Sanjay and Craig", "Pig Goat Banana Cricket", "Harvey Breaks" and "The Loud House" exclusively available at Comic-Con! 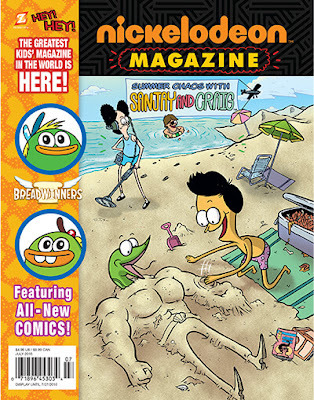 Graphic novels based on the collection of comics featured in Nickelodeon Magazine will also be published several times a year, with a "Sanjay and Craig" issue to debut in September 2015! The publishing program is scheduled to roll out in the UK, Ireland, Australia, New Zealand and throughout Asia in the immediate future. 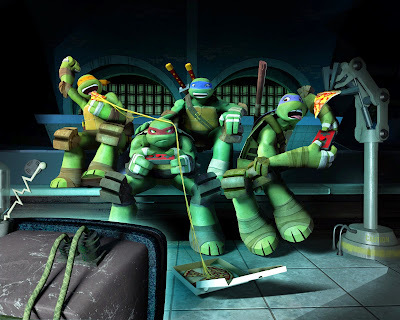 Brandon Auman, a Executive Producer and the head writer of Nickelodeon's hit CG-animated "Teenage Mutant Ninja Turtles" television series, has announced the Booyakasha TMNT News in a post on his official Instagram profile page, @brandon_auman, that, following a short break, Nickelodeon USA will start to premiere and show more brand new episodes from "Teenage Mutant Ninja Turtles" season three from Sunday 2nd August 2015, continuing the shell-raising crime-fighting adventures of the four mutant Heroes in a Half-Shell turtles — Leonardo, Raphael, Donatello and Michelangelo! UPDATE: NickToons USA will be airing the 2003 series of "Teenage Mutant Ninja Turtles", produced by 4Kids Entertainment and Mirage Studios, in July 2015, starting with a marathon on Saturday 11th July 2015! Original source: ToonZone forums member Toons Fan. "Pig Goat Banana Cricket" follows four friends nature never intended - a pickle-obsessed Pig, a Goat with musical dreams, a Banana who loves video games and a Cricket with a crazy science lab — in Boopelite City, a gigantic, fantastical metropolis unlike anything you've seen before; where fruit can walk, animals can talk, the sidewalks are crammed with animals, robots and sea creatures, and you can find all your pickle needs at the downtown Picklemart! The quad are roommates in a treehouse, which sits in the middle of the city, surrounded by the forest, seas and everywhere else the foursome could possibly go. From surviving a fudge-pocalypse to challenging Prince Mermeow in the underwater city of Catlantis, Pig, Goat, Banana and Cricket often find themselves in sticky situations... but wherever these four friends go, they always know where they'll end up: TOGETHER! 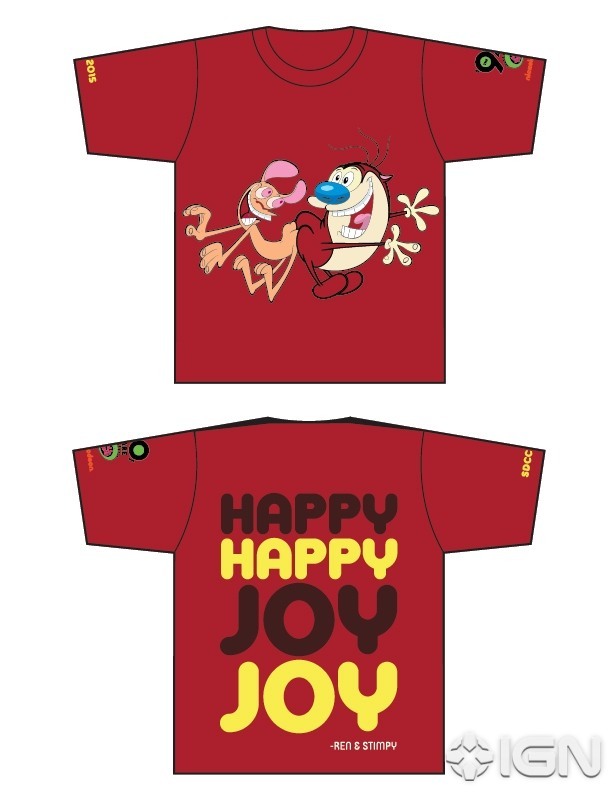 Nickelodeon will hold the world premieres of "Pig Goat Banana Cricket" and the networks upcoming brand-new animated comedy series "The Loud House" at Comic-Con International: San Diego 2015 on Saturday 11th July 2015! Viewers can visit Nickelodeon's official "Pig Goat Banana Cricket" property website on Nick.com and the Nick App to learn more about the show and its characters, play show-based games, take character quizzes, and watch funny short videos. 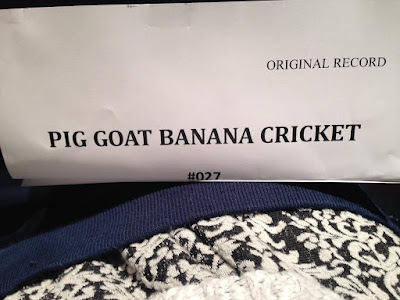 Episodes of Pig Goat Banana Cricket will be available on Nick.com and the Nick App, along with platforms including iTunes, Amazon, Xbox, Google Play, Vudu, Playstation, Hulu and VOD. 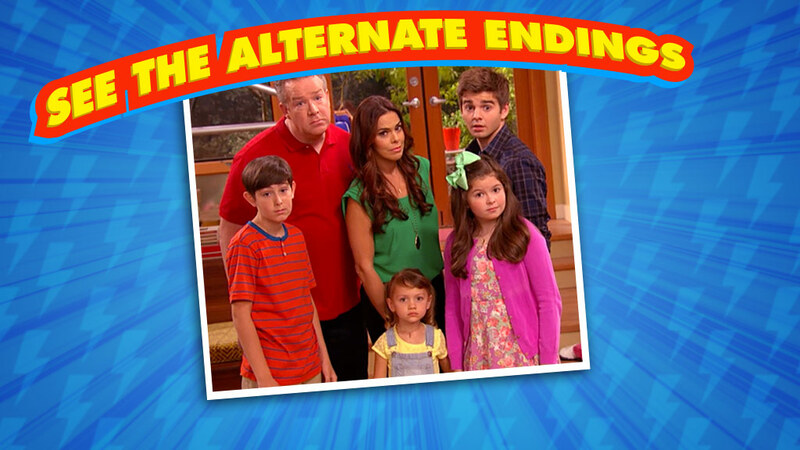 Big thanks to ‏@TVShowsFan for the news! Follow NickALive! on Twitter, Tumblr, Google+, via RSS, on Instagram, and/or Facebook for the latest Nickelodeon and Pig Goat Banana Cricket News and Highlights! Meet The Creators Of "Pig Goat Banana Cricket"
To celebrate Nickelodeon USA starting to premiere and show Nickelodeon's brand-new original animated comedy series "Pig Goat Banana Cricket" on Saturday 18th July 2015 at 10:30am ET/PT, Nick USA has unveiled a fantastic behind-the-scenes video clip on their official YouTube channel featuring Johnny Ryan ("MAD Magazine", "DC Comics") and Dave Cooper ("Futarama"), the co-creators of "Pig Goat Banana Cricket", who talk about the creative process of their all-new Nicktoon, and about how the great response the shows original short, "Pig Goat Banana Mantis! ", got from audiences led to Nickelodeon commissioning the series! Johnny also talks about their work on Nickelodeon Magazine! Meet the creative masterminds behind Pig Goat Banana Cricket, Johnny Ryan & Dave Cooper! 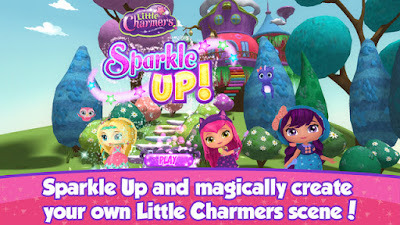 TORONTO, June 29, 2015 /CNW/ - Corus Entertainment's Nelvana is pleased to announce that Little Charmers: Sparkle Up, the first app for the Little Charmers brand, soared to the #1 spot for downloaded iPad apps in the App Store on iTunes across the United States and Canada, less than a week after its launch. 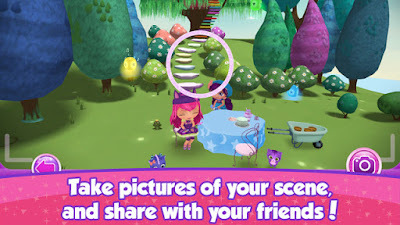 The Little Charmers animated preschool series launched in January 2015 consistently ranking among the top five preschool programs on Nick Jr. in the U.S. and Treehouse in Canada. Little Charmers: Sparkle Up is a free download for tablets and smartphones available in the App Store on iTunes and will be available on Amazon and Google Play in July. 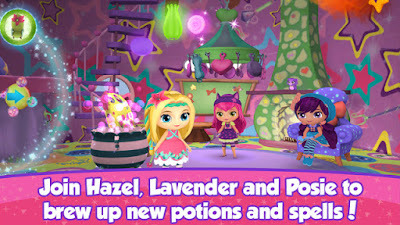 Players can immerse themselves into Hazel, Posie and Lavender's magical world by casting spells to transform their surroundings, beam across a variety of locations and arrange charming props to create enchanting images which users can print, save and share with their friends. Additionally, they can also play with the girls' pets Seven, Flare and Treble. "We're thrilled with the immediate popularity of the Little Charmers app," said Colin Bohm, Vice President, Head of Corus Kids. "It's no surprise that kids have embraced the app's magical interactivity that encourages exploration and seamlessly complements the top rated Nickelodeon and Treehouse series. This app is the first of many brand extensions for Little Charmers including an imaginative toy collection from our partner, Spin Master, which will roll out to mass retail later this summer." Since rising to the top of the iTunes ranking, the app has garnered more than 100,000 downloads in the U.S. and Canada. 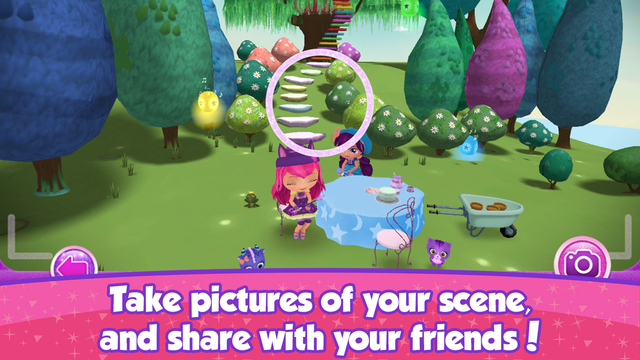 Little Charmers currently airs on Nickelodeon and Nick Jr. in territories worldwide including the U.S., and airs on Treehouse in Canada. Spin Master is a leading global children's entertainment company that creates, designs, manufactures and markets a diversified portfolio of innovative toys, games, products and entertainment properties. Spin Master is best known for award-winning brands including Bakugan Battle Brawlers™, Air Hogs®, Spin Master Games™ and the 2015 Toy of the Year, Zoomer™ Dino. Since 2005, Spin Master has received 58 TIA Toy of The Year (TOTY) nominations with 14 wins across a variety of product categories. Spin Master has been recognized with 11 TOTY nominations for Innovative Toy of the Year, more than any of its competitors. Spin Master is among a limited number of companies that not only develop and produce global entertainment properties, characters and content, but also monetize that content through the creation, sale and licensing of products. To date, Spin Master has produced five television series, including 2007 hit series Bakugan and its current hit PAW Patrol, which is broadcast in over 160 countries and territories globally. Spin Master employs over 850 people globally with offices in Canada, United States, France, Italy, United Kingdom, Bratislava, Germany, Holland, Mexico, China, Hong Kong and Japan. (Toronto, Canada) As part of Corus Entertainment's expanding digital content roll out, the company is launching a full suite of TV Everywhere apps for its kids television brands starting with TreehouseGO. Fans of Treehouse, Canada's #1 preschool network, will have access to their favourite Treehouse shows anytime, anywhere with the launch of TreehouseGO for mobile devices and tablets. Designed for kids 2 to 6, TreehouseGO is playful and easy for kids to navigate, and above all, gives them on-the-go access in the same fun, safe and trusted Treehouse environment that parents know and love. 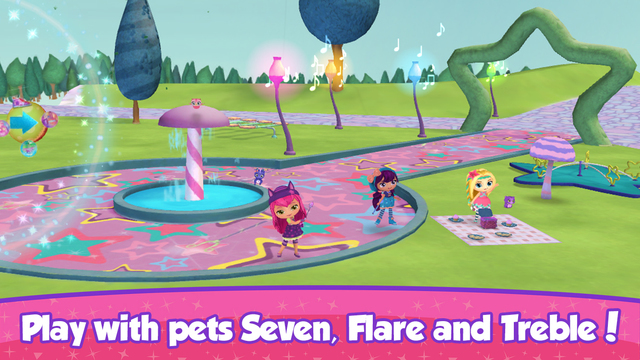 The app, free to Treehouse TV subscribers, will be continually updated with the most popular and current Treehouse series such as Dora and Friends, Little Charmers, Octonauts, Toopy & Binoo, Bubble Guppies and Mike the Knight. 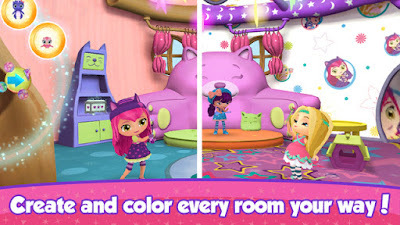 Visit www.treehousetv.com/TreehouseGO for more information. "We're thrilled to begin rolling out a full suite of Corus Kids brands specially optimized for mobile devices, beginning with TreehouseGO," said Colin Bohm, Vice President, Television, Head of Corus Kids. "These apps ensure that our content is everywhere consumers are and available to them whenever and wherever they want it. Parents and kids will love the flexibility of being able to watch their favourite entertainment on the go with the TreehouseGO experience that mirrors the full, rich environment of Canada's #1 television brand for young kids." TreehouseGO is the first of several apps Corus is launching to ensure audiences have convenient access to their favourite brands and content anywhere, anytime. Corus' apps will be available free to subscribers of its TV services in Canada on iOS and Android devices, giving kids and families access to hundreds of hours of current programming that they can view, download and live stream. TreehouseGO is free to download from the App Store or Google Play and video content is available at no charge to satellite and cable subscribers of Treehouse TV. Additional features will be rolled out in the coming year. Upon downloading and opening the TreehouseGO app, users will be able to submit their email to receive special promotions such as a discount code for tickets to Treehouse Big Day Out, the two-day family festival taking place in Toronto on Saturday, September 12 and Sunday, September 13. Corus' new apps are built using You.i Engine software, developed by Ottawa-based startup You.i TV, which powers the user experience across all platforms. These apps are also supported by technologies from thePlatform, Adobe Primetime, Penthera, Akamai and Elemental. Loved by Kids! Trusted by Parents! Treehouse, Canada's #1 channel for young children, offers premium programming and a trusted, safe environment for little ones and their parents. Delivering a strong balance of educational, imaginative and entertaining programs, Treehouse provides high-quality children's series from Canada and around the world. Hit shows include Bubble Guppies, Trucktown, Dora and Friends, Mike the Knight and Toopy & Binoo. Canada's pre-eminent brand for young children, Treehouse is owned by Corus Entertainment Inc., a Canadian-based media and entertainment company. Learn more about Treehouse at www.treehousetv.com. Corus Entertainment Inc. is a Canadian-based media and entertainment company that creates, broadcasts and licenses content across a variety of platforms for audiences around the world. The Company's portfolio of multimedia offerings encompasses specialty television and radio with additional assets in pay television, television broadcasting, children's book publishing, children's animation and animation software. Corus' brands include YTV, TELETOON, ABC Spark, W Network, OWN: Oprah Winfrey Network (Canada), HBO Canada, Historia and Séries+, as well as Nelvana, Kids Can Press, Toon Boom and 39 radio stations including CKNW AM 980, 99.3 The FOX, Country 105, 630 CHED, Fresh FM London, Q107 and 102.1 the Edge. A publicly traded company, Corus is listed on the Toronto Stock Exchange (CJR.B). Experience Corus on the web at corusent.com. Viacom International Media Networks (VIMN) Polska has announced in the following press release, via Satinfo24.pl, that Nickelodeon Poland (Polska) recorded record ratings in May 2015, reaching as much as 7.5% and 1.1% Shr RT in the kids aged 4-12 years demographic, making May 2015 the most successful month in Nickelodeon Poland history! Nickelodeon Poland's record ratings were helped by Nickelodeon's roster of hit shows, including "Chica Vampiro", "Sam & Cat", "The Thundermans", "Max & Shred" and "Nicky, Ricky, Dicky & Dawn". Nickelodeon Polska's May 2015 ratings performance was the crowning achievement of great ratings results since the channel launched in March 2010. The average share of Nickelodeon viewers in the 4-to-12 years old age group was up 6.8%, and for school-age children (7-12 years) to 8.3%. Thanks to a programme line-up popular with kids of all ages, the channel also had very high rates of AMR%: 1.2% in the 4-12 age group and 1.4% in the 7-12 demographic. W maju stacja Nickelodeon Polska zanotowała najlepszy wynik w swojej dotychczasowej historii, osiągając aż 7,5% Shr i 1,1% RT w grupie 4-12 lat. To 25% wzrost wobec wyników stacji z maja 2014 roku. To był najlepszy miesiąc w historii badań telemetrycznych Nickelodeon Polska, czyli od marca 2009 roku. Tak dobre wyniki stacja zanotowała dzięki mocnym pozycjom ramówkowym. Niesłabnącą popularnością cieszą się wśród młodych widzów pozycje takie jak „Chica Vampiro”, „Sam i Cat”, „Grzmotomocni”, „Max & Shred” oraz „Nicky, Ricky, Dicky & Dawn”. Majowe wyniki oglądalności Nickelodeon Polska były ukoronowaniem świetnych rezultatów stacji od początku roku. W pierwszych czterech miesięcy stacja osiągała najlepsze średnie wyniki oglądalności wśród kanałów dziecięcych. Przeciętny udział Nickelodeon w grupie widzów od 4 do 12 lat wyniósł aż 6,8%, a dla dzieci w wieku szkolnym (7-12 lat) aż 8,3%. Dzięki ramówce atrakcyjnej dla dzieci w każdym wieku, kanał miał także bardzo wysoki wskaźnik AMR%: 1,2% w grupie wiekowej 4-12 oraz 1,4% – w grupie 7-12. Nickelodeon ma szansę na osiągnięcie jeszcze lepszych wyników oglądalności za sprawą niespodzianki, którą przygotował dla najmłodszych z okazji Dnia Dziecka. Od 1 czerwca do 5 lipca kanały Nick Jr., Nickelodeon oraz Nick HD dostępne będą w otwartych oknach programowych u operatorów: Cyfrowy Polsat, Orange TV, Multimedia oraz Toya. Dodatkowo, przez cały czas trwania akcji mali widzowie uzyskają bezpłatny dostęp do 30 odcinków seriali z portfolio Nickelodeon w ramach usługi VOD. Widzowie będą mogli śledzić losy swoich ulubionych bohaterów, takich serii live action jak: „Hotel 13”, „Nawiedzeni”, „Sam & Cat” czy „Grzmotomocni”. Fanom kreskówek stacja oferuje niezwykle przygody z prawdziwymi gwiazdami: „Wojownicze Żółwie Ninja”, „Kórliki”, czy „Sanjay & Craig”. Najmłodsi widzowie też znajdą coś dla siebie. Przedszkolaki mogą poznawać świat z Dorą, małą podróżniczką czy odkrywać „Bąbelkowy Świat Gupików”. Follow NickALive! on Twitter, Tumblr, Google+, via RSS, on Instagram, and/or Facebook for the latest Nickelodeon Poland and Viacom International Media Networks News and Highlights! The television news website The Futon Critic is reporting the exciting news that Nickelodeon USA will start to premiere more brand new episodes of "Harvey Beaks" and "Sanjay and Craig" every Saturday at 11:00am and 11:30am, respectively, following the premiere of all-new episodes of Nickelodeon's brand-new original animated comedy series (NickToon) "Pig Goat Banana Cricket" at 10:30am from Saturday 18th July 2015! 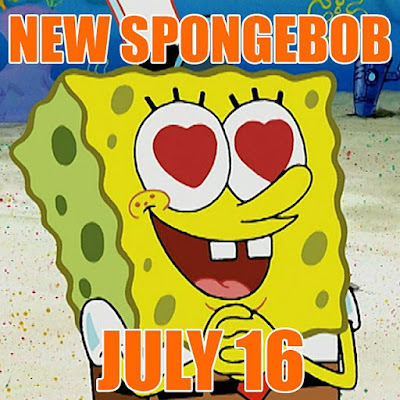 Additionally, The Futon Critic is reporting the further exciting news that the brand-new episode of "SpongeBob SquarePants" that Nickelodeon USA will premiere on Thursday 16th July 2015 at 7:30pm ET/PT (6:30pm C) will be called "Lost in Bikini Bottom"/"Tutor Sauce"! To celebrate, Nick USA has launched a social media campaign called #WheresTheSquare! Original source: ToonZone forums member shakeheitor. Sky today committed to offer even more great stuff for kids as it builds on its position as the best entertainment service for children and their parents. New developments will include the launch of a dedicated app and the appointment of a Head of Kids Content. This follows the recent expansion of the kids' shows available in Sky's on demand library from 700 to 4,000 episodes, making Sky home to more episodes of the most-watched kids' shows than any other provider in the UK. Development of the kids app for mobile devices is already underway and it is expected to launch in early 2016. To build it Sky is combining its 25 years of expertise in delivering great content in a family friendly way with the talents of ustwo: designers of Monument Valley, winner of Apple's 2014 Design Award iPad game of the year and two BAFTAs. The app will mean children in Sky homes can access their favourite shows in a way that best suits them. 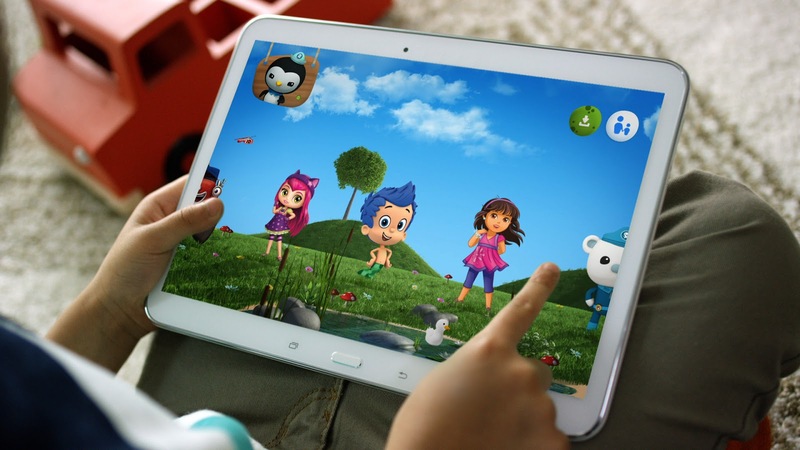 Latest data from Ofcom 1 shows around one quarter of children aged 5-7 and one-third of children aged 8-11 own a tablet. The proportion of children watching TV on a tablet has risen by a third in a year to 20% while a third watch TV on-demand. Aimed at children aged 4-9 years, the app will bring together all the best age-appropriate shows available on Sky, from the likes of The Cartoon Network, Disney and Nickelodeon, in an easy-to-use and fun way. At the heart of the app's design will be the creation of an intuitive and playful experience that empowers children to discover programmes themselves but also provides parents with peace of mind. It will include options to filter what their child views, limits usage including a 'bedtime' setting as well as the ability to understand what their child has been watching. 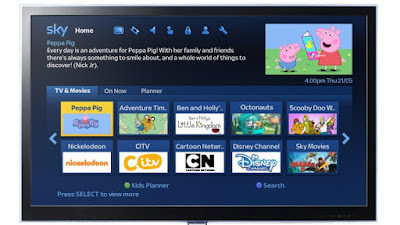 Following the recent investment in expanding its on demand library, Sky is now home to 4000 episodes of much loved kids shows including Adventure Time, SpongeBob SquarePants, and Ben & Holly's Little Kingdom. Kids' viewing on demand is already up 50% and it is expected to grow further following the launch of a major new advertising campaign. Set to air from 29 June, 'Operation Kids' features characters from some of UK's most popular childrens' shows including Peppa Pig and Captain Barnacles from The Octonauts working together to add the new dedicated kids section to the Sky+ home page. The new section opens up a one-stop-shop of all the kids shows and movies available on demand, all kids TV recordings, plus a quick view of what's on now on linear channels like CBeebies and Nick Jr.
Stephen van Rooyen, Chief Marketing and Digital Officer, Sky commented: "We want kids to have access to all their favourite shows when and on whatever device they want, in a way that parents know is creative, engaging but ultimately, safe. Sky has always focused on providing great entertainment for the whole family which is why we are continuing to invest in what we offer the youngest members of the household." Sky is Europe's leading entertainment company. The group serves 21 million customers across five countries: Italy, Germany, Austria, the UK and Ireland. We offer the best and broadest range of content, deliver market-leading customer service and use innovative new technology to give customers a better TV experience, whenever and wherever they choose. Sky has annual revenues of over £11 billion and is Europe's leading investor in television content with a combined programming budget of over £4.6 billion. The company employs 31,000 people and is listed on the London Stock Exchange (SKY). Follow NickALive! on Twitter, Tumblr, Google+, via RSS, on Instagram, and/or Facebook for the latest Nickelodeon UK, Nicktoons UK and Nick Jr. UK News and Highlights! To celebrate the Winter holidays, MultiChoice has moved four DStv Premium TV channels – Nickelodeon, Comedy Central, Nick Jr. and Lifetime – to the cheaper DStv Compact package for a month from Friday 26th June 2015! Viacom International Media Networks Africa's (VIMN Africa) Nickelodeon (DStv 305), Nick Jr. (DStv 307) and Comedy Central (DStv 122) and A+E Networks UK's Lifetime (DStv 131), which are premium TV channels, will be made available to DStv Compacy subscribers starting 26 June. These four DStv channels will remain accessible on DStv Compact for almost a month, until Monday 20th July 2015, at no extra cost. Nickelodeon Russia and CIS recently celebrated International Children's Day will a special event called "33 буквы в Парке Горького" on Saturday 30th May 2015! As part of the event, kids could meet and greet Nickelodeon stars, have a go at dubbing their favourite Nicktoons and take part in master classes! Nickelodeon Greece will premiere the fourth season of "My Little Pony: Friendship Is Magic" from Monday 6th July 2015 at 9:20am! Additionally, Nickelodeon Brazil recently revealed to Anime, Manga E TV the channels three most watched programmes during April 2015! The Italian children's channel K2 recently premiered "ALVINNN!!! and The Chipmunks" on Friday 12th June 2015! 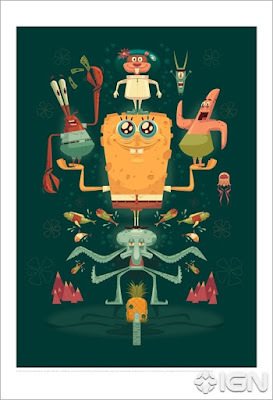 Say it with SpongeBob SquarePants! Soak Up The Happiness and Tell Your Friends How You Really Feel With SpongeBob Facebook Stickers! A huge thanks to matteu21 for contributing to this post! To celebrate the US debut of the brand-new third season of the networks hit original comedy series "The Thundermans" on Saturday 27th June 2015, Nickelodeon USA has unveiled the brand new super power of Max and Phoebe's new little sister, Chloe Thunderman! During the shows super-charged season three premiere episode, "Phoebe vs. Max: The Sequel", after Chloe (Maya Le Clark) has her final growth spurt, it is revealed that Chloe's super power is teleportation! 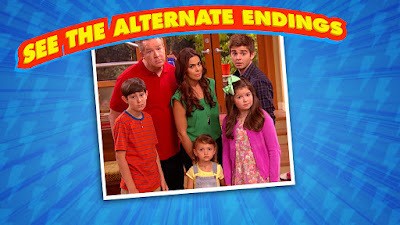 Following the reveal, Nick USA unveiled two alternative endings to the episode, showing Chloe gaining sonic-screaming and super-strength super powers instead of teleportation, which NickHeads located in the USA can watch here on nick.com! 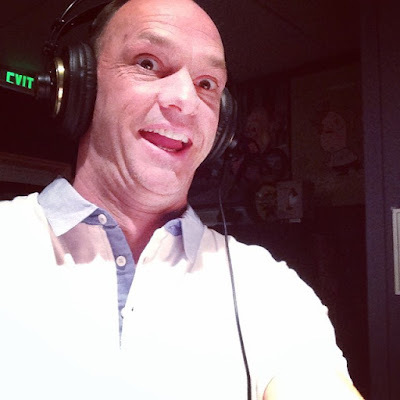 Nickelodeon Star Brian Stepanek, who plays Tom Harper, the father of "Nicky, Ricky, Dicky & Dawn" in Nick's hit comedy series, has announced in a post on his official Instagram profile page, @BrianPStepanek, that he'll be voicing the character 'Dad' in Nickelodeon's upcoming brand-new animated series "The Loud House"! Recording the voice of Dad for the new #nickelodeon animated show #loudhouse. Inspired by first-time creator Chris Savino's ("Rocko's Modern Life", "The Powerpuff Girls") chaotic life growing up in a huge household, the series will follow 11-year-old Lincoln as he gives an inside look at what it takes to survive in the bedlam of a large family, especially as the only boy with 10 sisters. The series is based off a short of the same name from Nickelodeon's 2013 Animated Shorts Program, and is scheduled to debut on Nick USA in January 2016. You can watch a online streaming video clip featuring Chris Savino's original Nickelodeon 2013 Animated Shorts Program short here on NickALive!. Nickelodeon will hold the world premieres of "The Loud House" and "Pig Goat Banana Cricket" at Comic-Con International: San Diego 2015 on Saturday 11th July 2015! Nickelodeon UK Unveils Arianators' Top 10 Cat Valentine Moments! You've watched, you've voted, and today, Saturday 27th June 2015, Nickelodeon UK revealed the top 10 Cat Valentine moments! Throughout June 2015, Nickelodeon UK & Ireland gave you the chance to vote for your favourite Cat Valentine moment! Cat has got up to the most hilarious antics, giving fans plenty to choose from! Fans could vote from the "Victorious" episodes "Cat's New Boyfriend", "Survival of the Hottest", "Andre's Horrible Girl", "Car, Rain, and Fire", "Tori & Jade's Playdate", "Driving Tori Crazy", "How Trina Got In", "The Blonde Squad", "Three Girls and a Moose" and "One Thousand Berry Balls", and from the "Sam & Cat" episodes "#TheBritBrats", "#BabysitterWar", "#ToddlerClimbing", "#RevengeOfTheBritBrats" (guest starring Sophia Grace Brownlee & Rosie McClelland), "#BabysittingCommercial", "#PeezyB" (guest starring Kel Mitchell), "#MagicATM", "#DroneBabyDrone", "#SuperPsycho" and "#FirstClassProblems" (guest starring Jessica Chaffin from "Zoey 101" and Josh Server from "All That"/Nickel-o-zone's "ComedyZone"/"Nick.Comedy" and "Good Burger")! You also tuned into Nickelodeon UK & Ireland/HD every weekend to watch classic episodes of "Victorious" and "Sam & Cat" to help you decide which moment to vote for! Now it's time to reveal YOUR top 10 Cat Valentine moments! Missed The Cat Countdown or want to catch all the epic action again? Tune into Nickelodeon UK & Ireland/HD on Sunday 28th June 2015 from 9am (replayed from 10am on Nick+1) to catch a encore of The Top 10 Cat Valentine Moments, as voted by YOU! Below is a countdown of the top 10 Cat Valentine moments as voted for Arianator's around the UK and Ireland as part of "The Cat Valentine Takeover"! 9: #TheBritBrats, guest starring Sophia Grace Brownlee & Rosie McClelland! What do you think of the top ten Cat Valentine moments as voted for Arianator's? Did your favourite "Victorious" and "Sam & Cat" episodes make the list? Join the conversation on social media using the hashtag #CatVTakeover! Are you a true Arianator? Test your Ariana Grande knowledge in Nickelodeon's brand-new and exclusive Arianator quiz! Nickelodeon Germany has announced the exciting Nickelodeon International news on their "Nick Pressecenter" that Nickelodeon Germany and Nickelodeon Switzerland will start to premiere and show the popular animated series "Pokémon", starting with season 18 (XY (part 2)) in July 2015! Nickelodeon Germany (Deutschland) will debut each brand-new episode every Saturday at 10:20am from Saturday 18th July 2015, and Nickelodeon Switzerland (Swiss/Schweiz) will premiere each brand-new episode of "Pokémon" every Sunday at 11:15am from Sunday 19th July 2015! UPDATE: Nickelodeon Germany and Nickelodeon Switzerland will also premiere "Pokémon the Movie: Diancie and the Cocoon of Destruction", the 17th "Pokémon" anime movie and the first film in the XY Series, on Saturday 18th July 2015! Nickelodeon Germany will debut "Pokémon the Movie XY: Diancie and the Cocoon of Destruction" at 6:00pm and Nickelodeon Switzerland will premiere the movie at 4:00pm! "Pokémon", abbreviated from the Japanese title of "Pocket Monsters", is a long running Japanese children's anime television series, which has been adapted for the international television markets. It is based on the hit "Pokémon" video game series and is a part of the franchise. "Pokémon" follows the adventures of Ash Ketchum and his partner Pikachu, who travel across many regions in hopes of being regarded as a Pokemon master. In the eighteenth season of the long running "Pokémon" animated series, "Pokémon: XY" (advertised as "Pokémon The Series XY: Kalos Quest"), Ash Ketchum and his friends continue their journey through the Kalos Region to seek out the Pokémon gyms for his ambition to enter the Kalos League. At the same time, Serena begins her goal of becoming a full-fledged Pokémon Performer. Additional sources: fernsehserien.de, IMDb, Wikipedia. Follow NickALive! on Twitter, Tumblr, Google+, via RSS, on Instagram, and/or Facebook for the latest Nickelodeon Germany and Nickelodeon Switzerland News and Highlights! Anime News Network is reporting, via Cristina Vee, that Zag Entertainment founder and producer Jeremy Zag has announced the exciting news in a post on his official Instagram profile page, @Jeremy_Zag, that Nickelodeon USA has picked up the broadcast rights to Zag and Toei Animation's "Miraculous Ladybug" (also known as "Ladybug"), a CG-animated French/Japanese co-production about justice-seeking teen girl with super powers named Marinette, and will start to air the action comedy series from Fall 2015! Marinette Cheng, a shy high-school student, has inherited some magical ladybug-shaped earrings. The ornaments grant the power of Luck to whoever wears them. Yet there is one condition: they have to be worn in an altruistic manner, or else, beware of the consequences! Whenever the situation needs it, Marinette turns into LADYBUG, the guardian angel. Set in modern-day Paris, Marinette and Adrien are two high school kids with a difference: they are the chosen ones to save Paris from evil! They have been entrusted with an important mission – to capture akumas, creatures responsible for turning normal people into super-baddies. When involved in such adventures, these two school kids become superheroes: Marinette transforms into Ladybug and Adrien becomes Cat Noir. But Ladybug and Cat Noir do not know each other's true identity. Marinette is unaware that, beneath the Cat Noir costume nestles Adrien, her secret crush. Similarly, Adrien doesn't know that Ladybug is, in actual fact, just Marinette - one of the girls in his class. Miraculous Trailer from ZAGTOON DEV on Vimeo. Variety reported in 2012 that the 26x26' series, then known as "Miraculous", has a budget of US$11.2 million and has a "colorful manga style." 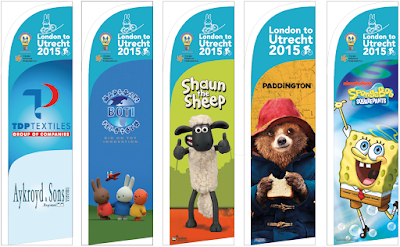 Aton Soumache's Method Animation ("The Little Prince") studio is also co-producing the series. "Ladybug" is currently broadcast is over 120 countries. Follow NickALive! on Twitter, Tumblr, Google+, via RSS, on Instagram, and/or Facebook for the latest Nickelodeon USA and Nicktoons News and Highlights! It's Time ... For Slime! The Australian media, marketing and entertainment news website mUmBRELLA is reporting the aweslime news that the BIGGEST kid-powered, star filled family slimefest of the year, Nickelodeon SLIMEFEST 2015, is back, and this years event promises to be bigger, better and SLIMIER than ever before and feature the most slime of all time! This year's SLIMEFEST event will be held at Sydney Olympic Park Sports Centre on Friday 25th September 2015. It promises to be an amazing event filled with the stars and DJs kids love, musical performances, spectacular surprises, festival area with heaps of stuff to do and don't forget the famous Nickelodeon slime! 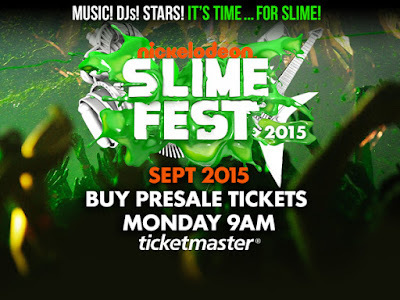 Pre-sale tickets for SLIMEFEST 2015 will go on sale at Ticketmaster Australia on Monday 29th June 2015! To make sure SLIMEFEST 2015 runs smoothly, Nickelodeon Australia and Nice Events need YOUR help and expertise! Nickelodeon and Nice Events are looking for volunteers to assist in a variety of areas at this year's event. If you are looking for some invaluable event work experience and want join in the day of madness and mayhem, Nickelodeon WANTS YOU! 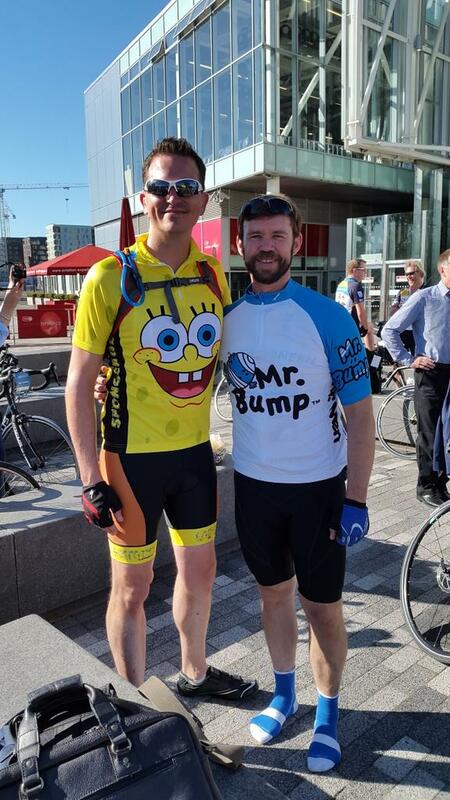 Nick and Nice Events are looking to fill a number of positions at the event – please note that volunteers will be allocated a position on the day of their briefing, Nickelodeon and Nice Events cannot guarantee which role your will be assigned. If you are interested and would like to apply please email liv@wearenice.com.au to request a registration form. Include your full name / Slimefest volunteer in the subject of your email! Good luck! Nickelodeon USA has announced the quad-tastic news in a Tweet on their official Twitter profile page, @NickelodeonTV, that "Instant Mom" and "One Crazy Cruise" star Sydney Park will be a guest star in the upcoming brand-new episode of the networks hit original comedy series "Nicky, Ricky, Dicky & Dawn" called "Mall in the Family", premiering Saturday 27th June 2015 at 9:00pm ET/PT (8:00pm C) on Nick USA! Nickelodeon will have a huge range of cool exclusives based on popular properties, including "Avatar: The Last Airbender", "The Legend of Korra", "Power Rangers", "Teenage Mutant Ninja Turtles", "SpongeBob SquarePants" and "Ren & Stimpy", this year at Comic-Con International: San Diego 2015! 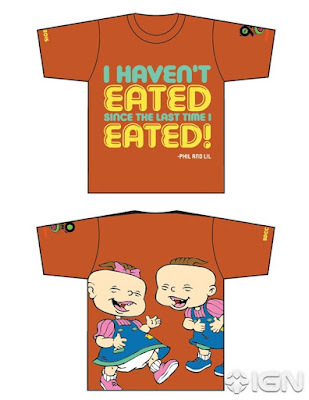 The entertainment news website IGN has exclusively revealed Nickelodeon's fantastic array of SDCC products that lucky SDCC 2015 attendees will be able to find from Nickelodeon at SDCC, from prints to figures to t-shirts. Check them all out below! "I hope it warms your hearts as so many of you have warmed mine and Mike's!" Konietzko writes. This will be the first year "The Legend of Korra" has no official panel presence at San Diego Comic-Con since 2011, when Konietzko and DiMartino promoted the show at the massive convention for the first time. However, a fan panel is scheduled to take place, and between the merchandise and cosplay that always populates the convention, the world of "Avatar" is certain to be proudly represented at SDCC. 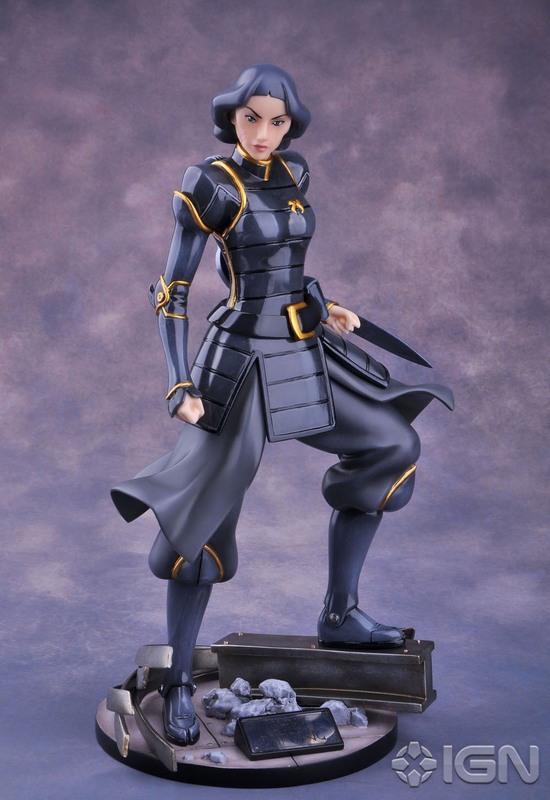 Also available at SDCC will be a 12" pre-painted PVC figure of Republic City's most indomitable Chief of Police, Lin Beifong. 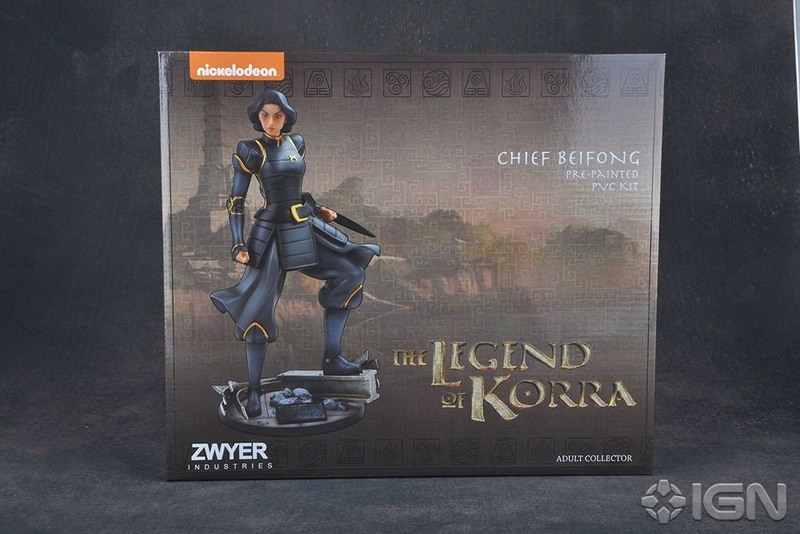 The figure is designed and created by ZWYER Industries, a company run by "The Legend of Korra" director Melchior Zwyer and "Avatar" artist Alan Wan. "The Legend of Korra" co-creator Bryan Konietzko expressed his admiration for the Lin figure, which had input from many members of the crew of the hit Nickelodeon animated series. 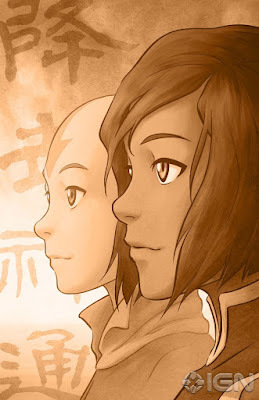 "The sculpt was based on a pose drawn by Lauren Montgomery and Christie Tseng," Konietzko writes. "I did a few rounds of notes on the sculpt, and they did a stellar job." Fans who can't make it to San Diego Comic-Con can hold on to other opportunities for figures like Lin. "Look out for more amazing stuff coming from Zwyer Industries and us in the future," Konietzko teases. 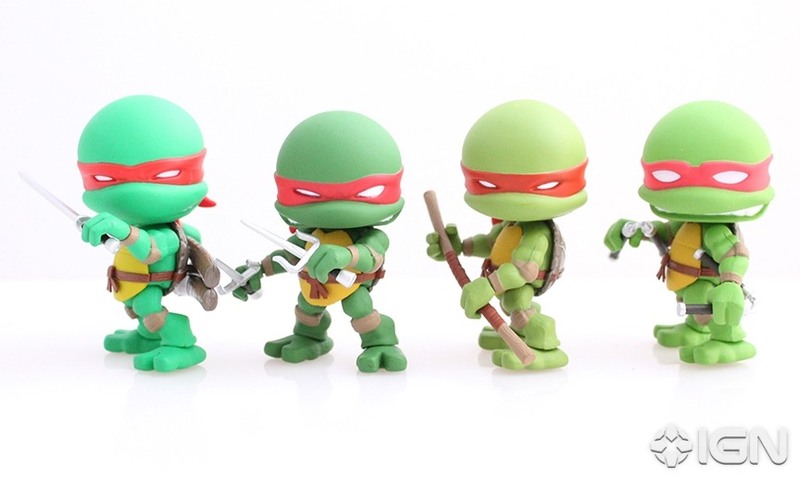 There will be several new TMNT items available, looking at different incarnations of the heroes in a half shell. 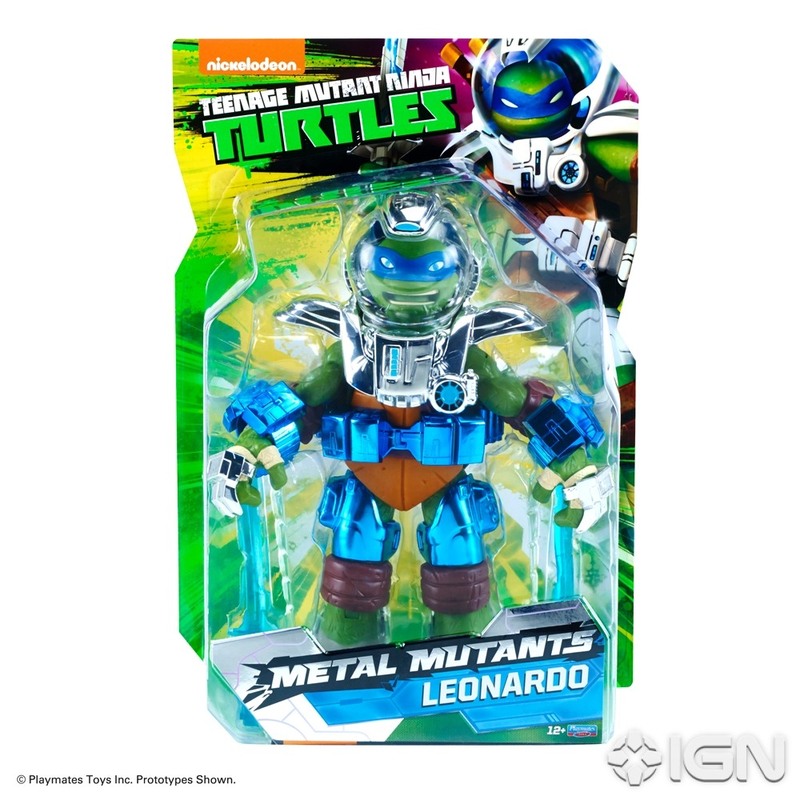 Based on the current toy line and animated series, the Playmates 11" Metal Mutant Leonardo will depict Leo in a special costume. 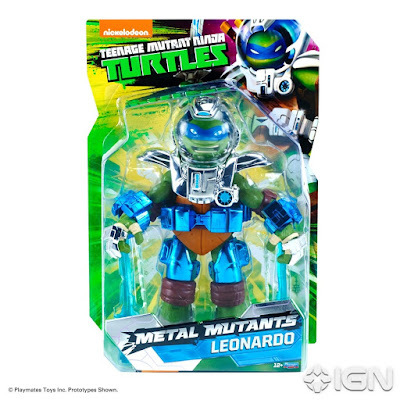 The leader of the Turtles also gets the focus with a new 8" Loyal Subjects Jumbo Leonardo. Lastly, all four Turtles are depicted in their red-masked glory in the 3” Loyal Subjects Original Comic 4Pak, which is based on how the group looked in the early Teenage Mutant Ninja Turtles comics. While the Bandai Red Ranger Armored Might Figure is available at retail stores, Nickelodeon will offer a special version autographed by the current Red Ranger, "Power Rangers Dino Charges" star Brennan Mejia. 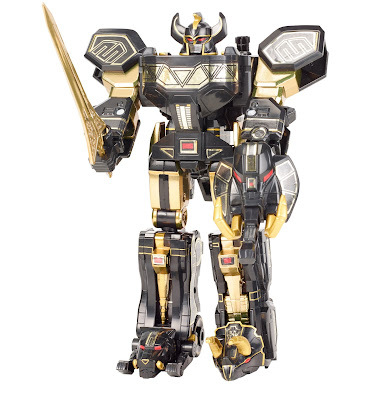 After 20 years of "Power Rangers" action and excitement, fans can return to the beginning with this original "Mighty Morphin Power Rangers" Megazord. 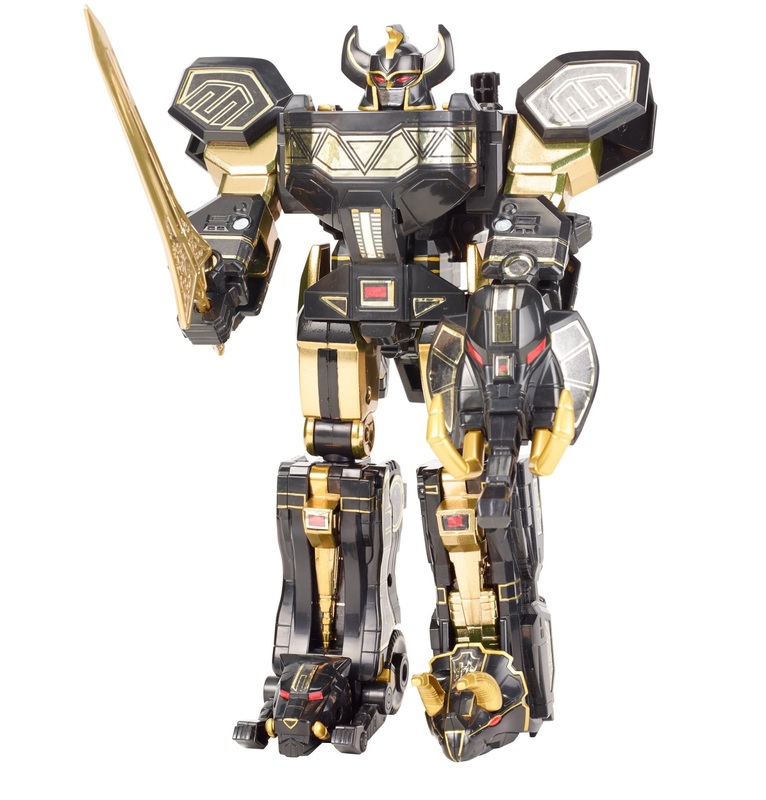 This limited edition Legacy Megazord with premium diecast parts will be available to conventioneers at the Toys"R"Us booth and online shoppers in black and gold. 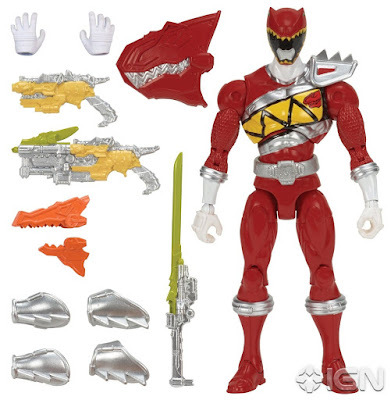 This item will become available at Toys"R"Us stores later this year. 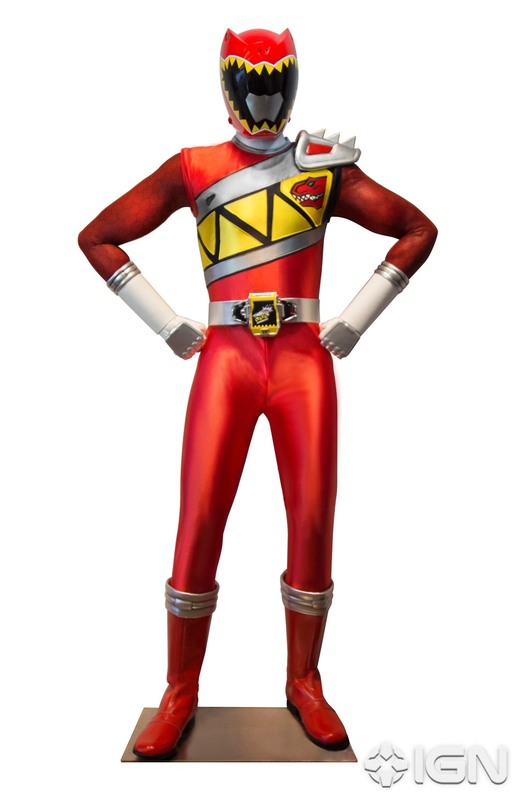 There will also be a 6ft tall Red Ranger from "Power Rangers Dino Charge" at the Nickelodeon booth for photo opportunities - Sorry, you can't buy this one! San Diego Comic-Con runs July 9th-12th, with a preview night on July 8th. 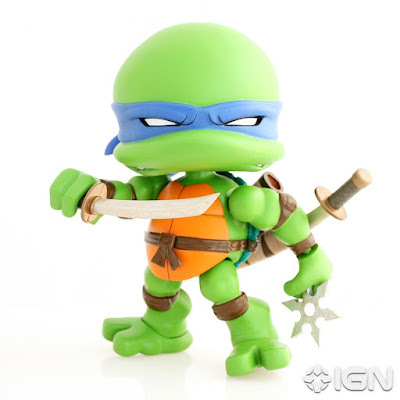 You can find a full list of Nickelodeon's scheduled SDCC 2015 events here on NickALive!. Follow NickALive! on Twitter, Tumblr, Google+, via RSS, on Instagram, and/or Facebook for the latest Nickelodeon at Comic-Con International: San Diego News and Highlights! "Degrassi" Heads To Netflix For "Next Class"